Released in 2014 to take the place of the Ardmore Traditional, the Legacy brings a lightly-peated, wood spice-led flavour profile to the table. 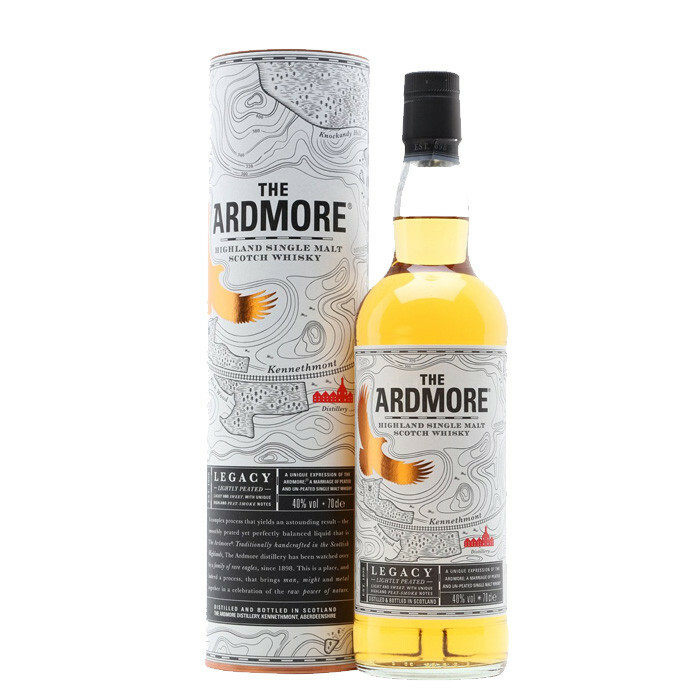 At its core, the Ardmore Legacy is made with 80% peated and 20% unpeated malt. Nose: It leans more on the savoury than the sweet side of things, with light barbecue char and earthy notes up-front. Sweet cinnamon, fresh honey and vanilla toffee waft up at points. Palate: More charred, smoky notes, joined by drying oak, pear drops and subtle grassy touches. Give it a minute for citrus zest and expressive heather to appear. Finish: A lasting peat smoke finish, with a little bit of honey'd barley for good measure.